Membership is open to fully paid up members of the FSS. Details of membership are set out below. Any member joining where their period of membership in the “100 club” will be less than 6 months will not be entitled to enter the Special Annual Draw at the AGM. The period of membership is up to 12 months renewable on or before 1st May each year. When you join you will be allocated your draw number for the year. The fee payable is £1 per month payable in advance as set out below. Once a year at our AGM we will hold an additional Special Draw with payment of a further 3 prizes. These prizes are calculated on the basis of the previous years "profits" with 50% being attributed to the Special Draw Prizes and the remaining 50% being donated to the Society for the use of the Health Sub Committee. The purpose of the “100 Club” is simply to raise funds for the Field Spaniel Society Health Sub Committee. 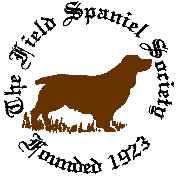 The utilisation and distribution of the funds received are controlled by the rules of the Field Spaniel Society and the Standing Orders//Terms of Reference of the Field Spaniel Society Health Sub Committee.